An early version of the neon green chucks made today. 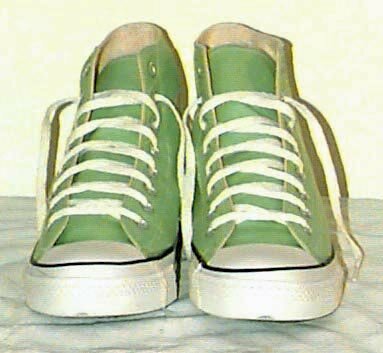 1 Fluorescent Green HIgh Top Chucks Flourescent green high tops, side view. 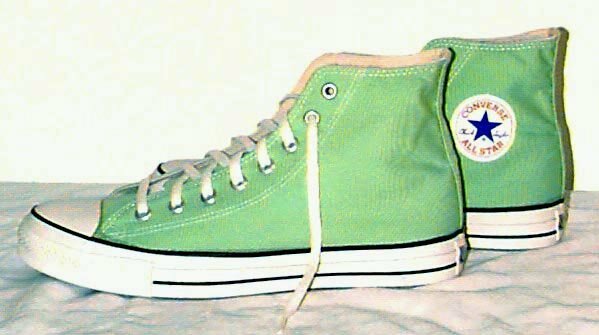 2 Fluorescent Green HIgh Top Chucks Flourescent green high tops, rear view. 3 Fluorescent Green HIgh Top Chucks Flourescent green high tops, front view. 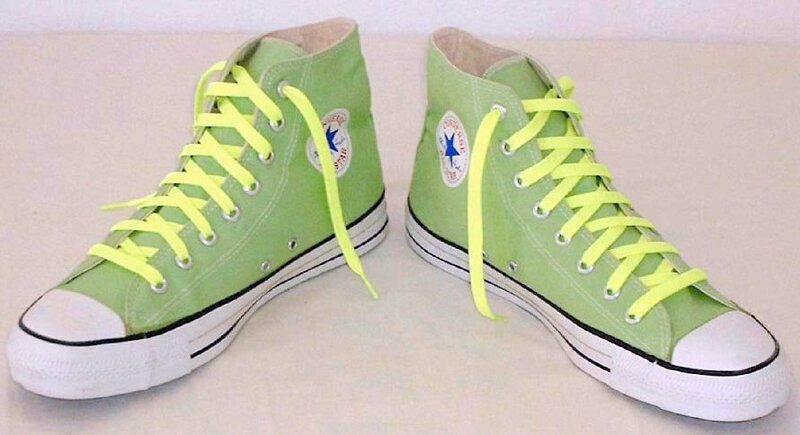 4 Fluorescent Green HIgh Top Chucks Flourescent green high tops, with neon yellow laces. 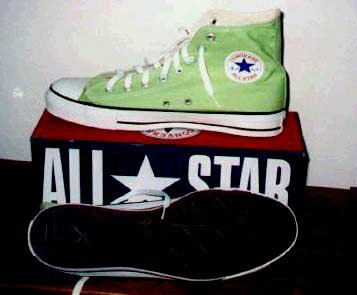 5 Fluorescent Green HIgh Top Chucks Inside patch views of florescent green high top chucks. 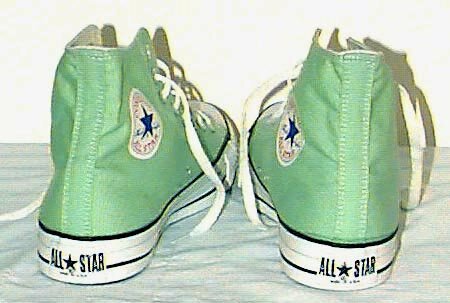 6 Fluorescent Green HIgh Top Chucks Flourescent green high tops, inside patch and sole views. 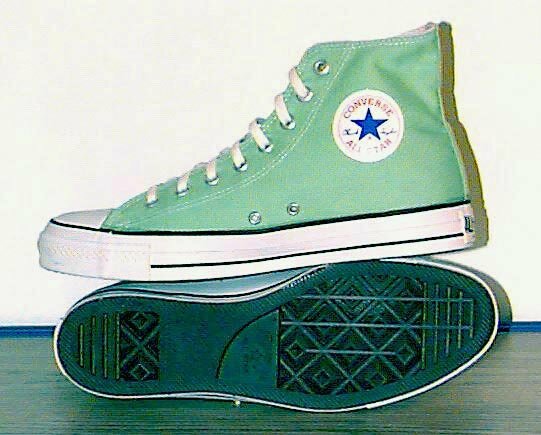 7 Fluorescent Green HIgh Top Chucks Florescent green high tops, right inside and left sole views. 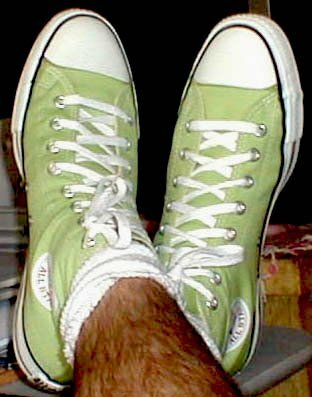 8 Fluorescent Green HIgh Top Chucks Wearing flourescent green high tops.